When a person sets a goal using the principles in The Jackrabbit Factor (or laws of thought as described in Hidden Treasures: Heaven’s Astonishing Help with Your Money Matters), sometimes life seems to gets harder first. Has that happened to you? If so, you’re not alone. I can’t tell you how many times I’ve set goals using the principles, and things seemed to fall apart before they got better. In fact, in my 18+ years of studying the principles, I’ve learned that this phenomenon is completely normal and, in fact, sometimes necessary. Major undertakings often get messy in the middle. 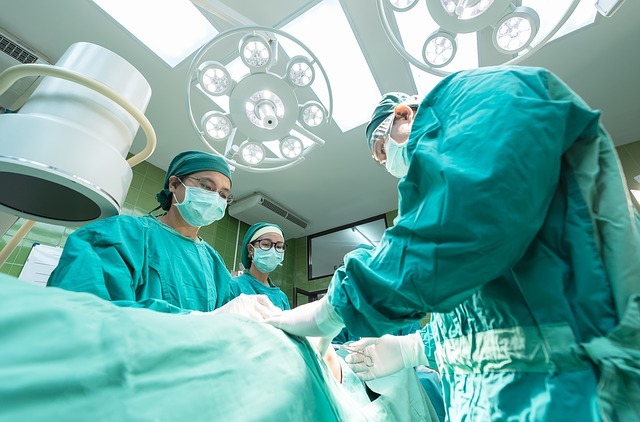 If you have an internal injury or ailment that requires surgery, then before you can become well, the doctors have to cut you open. Take a snapshot in time of you laying on the table, unconscious, with an incision in your torso, and it would appear that there has been a murder in the room. Are you well yet? No. Are you worse off than you began? Well, that’s debatable. After all, it appears that things have only gotten worse. But when it comes to surgery, you know that’s not the case. While you’re laying there, in most cases, the situation is completely under control, and you’re entirely right on track to the goal of wellness. Changing your life is no different; it is like undergoing major surgery. Take a snapshot at any given moment in time during the process, and it may appear that things have only gotten worse. But the success you seek requires determination and a focus on the end result, with the understanding that if things appear messy in the middle, it’s all just part of the process. You have not gone backwards; rather, you’re probably right on track. It’s easy to think positive when things are going well. It’s when things appear bad that you have a golden opportunity to think truth in spite of the appearances. And when you do, you initiate an instantaneous response of unseen help, continued support, alignment of resources, and the orchestration of solutions preparing their way before you. The challenge is an opportunity that most people overlook, resist, or outright fight. But now you know that it is actually a gift. When you choose to see it with excitement for the hidden benefit it must contain, your world begins to shift very rapidly. Test it. Prove me wrong! Life has a way of bringing opportunities disguised as challenges. If you refuse to give emotional energy to the setbacks (yes, deal with them, but do it unemotionally), and instead maintain emotional enthusiasm and expectancy for the good hiding in it (no matter how long it takes to find it), then you pass the test, and enjoy the reward. I guarantee that all who enjoy true success, those people you admire, have endured the same process. You see their success but are seldom aware of the internal struggles they overcame. The process is predictable and unchanging. Most people start on this path, face challenges, and conclude that this “law of attraction” thing is a hoax. Those who experience the breakthrough they’re looking for, in hindsight, will attest to this process. So when you face opposition, see it for what it is, and realize that it wouldn’t be there if you weren’t on your way to somewhere fabulous. Say it out loud: “This is GREAT!” and keep going. Remember: The adversity IS the opportunity. The reward is literally a product of adversity, mental toughness, and tenacity. Mental toughness and tenacity without adversity has no meaning. Without adversity, the formula is incomplete and there can be no success. So start calling the adversity in your life good instead of bad, and you will begin to find the solutions you need. Resources will open up. Unseen help will come to your aid. I thank my Father in Heaven for teaching me this – I feel like I’m finally beginning to understand why there really is no need to fear. Everything we need is as His command, and as we choose to believe, choose to have faith in Him, and choose to let go of our love affair with fear, drama, and worry, we discover that there really was never anything to be fearful about. Lack is an illusion. It’s not a question of whether resources and help is available, it’s a question of whether we’ll muster the courage to put these principles to the test. I dare you. Try it for a week – and let me know what happens! How ironic that you would be posting this article at the same time that we were experiencing a let down. We are trying to sell our house and were holding a heavily advertised neighborhood open house today. No one showed up. None. Nada. So what on earth is the opportunuty here? I know it’s not the chance to make double mortgage payments for another month. ‘Okay, be strong. Don’t pull out the struggling plant.’ It must be time to pull out my Hidden Treasures CD.